Raj and Preeti Bhatti | 113-5980 Whitehorn Ave (Britannia/Creditview) - Immaculate 3Bdrm&3Bath Mattamy Built Condo Townhouse In Heartland! 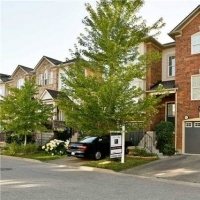 113-5980 Whitehorn Ave (Britannia/Creditview) - Immaculate 3Bdrm&3Bath Mattamy Built Condo Townhouse In Heartland! Immaculate 3Bdrm&3Bath Mattamy Built Condo Townhouse In Heartland!Fully Upgraded W/Oak Hrdwd Fl On Main&Staircase!Gourmet Kitchen W/New Quartz Countertop,Glass Backsplash,Pot Lights&S/S Appliances!Formal Dining Rm W/Beautiful Chandelier&Large Window!Spacious Family Rm W/Grat Size Windows&Pot Lights!Mstr Bdrm W/Walk In Closet!All Spacious Bdrms W/Large Windows!Finished W/O Bsmt W/O To Patio&Park! !3Pc Bath In Bsmt! Direct Access From Garage To Bsmt! Included:S/S Fridge,S/S Stove,Dishwasher,S/S Rage Hood,Washer, Dryer,Cac All Window Coverings,Gdo+Remote,All Elf's *Close To Whitehorn Pb,Rick Hansen Secondary,Hazel Mccallion Middle Sch,Vista Heights French Immersion!Minutes To Pb Transit! Preeti and Raj were totally proactive and professional from day one of my listing. They had my property professionally photographed and took the extra step of providing some attractive staging to make it look more appealing. They were very concerned that description of the property was accurate and complete and was very conscientious and detail-oriented throughout the process. Preeti and Raj kept us in the loop on all showings and provided valuable buyer feedback. 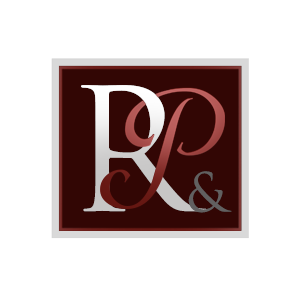 They were prompt and courteous in addressing any concerns we had, and when it sold, they were on top of the transaction from start to finish. We have zero hesitation in recommending preeti and Raj to anyone looking to buy or sell a property. They are total pro and a geniunely lovely people to work with." Myself and my family would like to personally thank you for the job well done for selling our home over asking price of $119,100.00 in four days. Your excellent service, frequent communication, professionalism and dependability, made the sale process so much easier for us. We knew instantly that we had selected the right Realtor. Your attention to detail as well as your knowledge of the current market assisted us in understanding what people in this area are looking for in a home.